Andrea Agresti - Le Iene riceve in omaggio la nostra super borsa porta pc!!! Andrea Agresti, also known as L ‘Agresti, is an envoy of the Hyenas, who together with his friend Spadino turn this funny video clip on our Computer Bag which seems to have appreciated a lot. By now an exorbitant number of people has a notebook in use and, among the various necessary accessories, the laptop bag is certainly among the most important. Naturally a choice in this sense will be based mainly on the ability of the bag to contain the size of our pc. However, functionality is not the only element that we could evaluate; in fact, making a good choice means having also met our personal aesthetic taste. the new line from urban lifestyle, a multifunctional bag, in reality the style makes it unisex, can be worn both for men and women. This bag in prestigious textile material and real leather combines a functional design with subtle details of great effect. The sturdy leather band is very useful to hook the bag on the traction bar inside two compartments. To determine the functionality of an accessory such as a laptop bag is, basically, the measure. In fact, it will be necessary for the inner compartment of the bag to be designed to hold the notebooks in base with the thumbs of the same. In this way, having for example a 17 “pc, we will buy a bag whose internal compartment is designed for 17” notebooks. 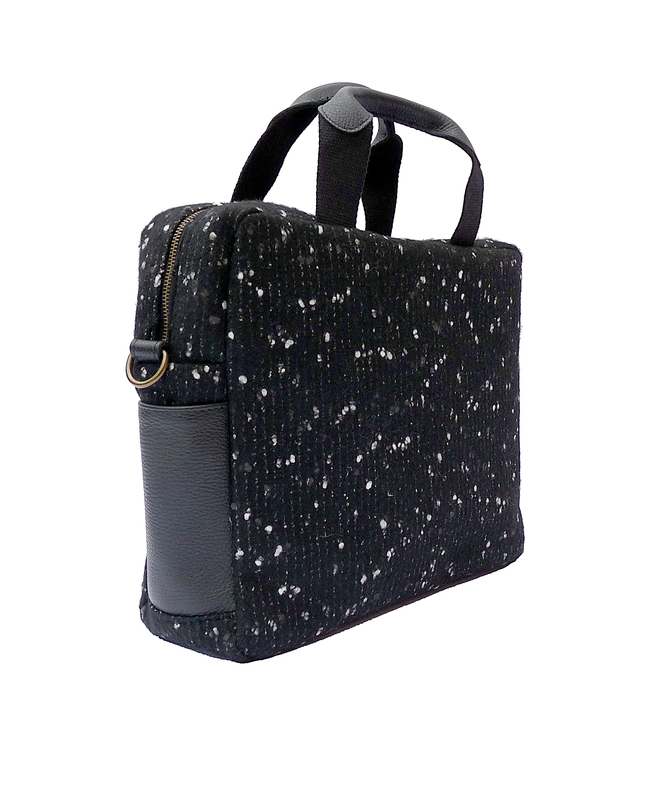 It is also important to bear in mind that some of the PC bags available on the market, present themselves with more rooms in which it will be possible to house additional objects such as a tablet, a cell phone, workbooks or other necessary documents and so on.